Been struggling with starter sketches for characters today. Bit preoccupied with other stuff going on. But then I thought I’d draw on characters close to my heart. My middle daughter is tiny for her age but insists on wearing clothes far too big for her because she thinks it’s cool. She makes me laugh. 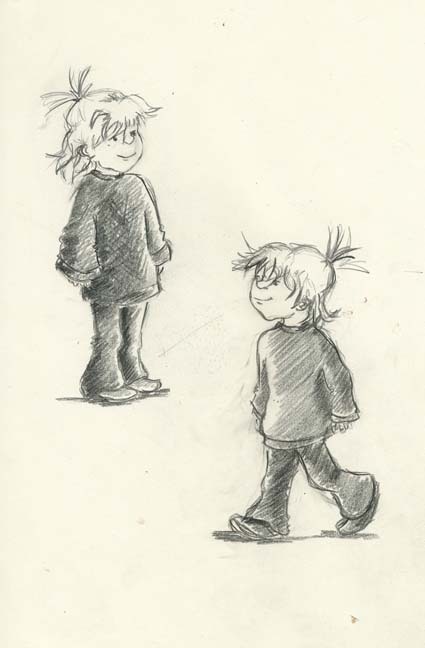 Here’s a couple of sketches of her stepping out for school his morning.